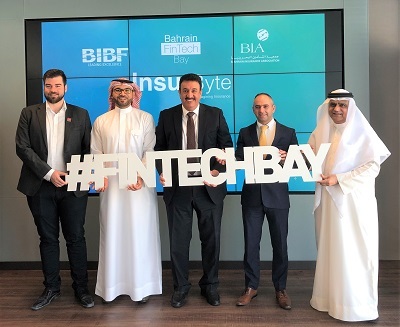 Under the patronage of the Central Bank of Bahrain (CBB), Bahrain FinTech Bay (BFB) will host InsurByte Conference 2019, titled “Reimagining Insurance” taking place on the 12th and the 13th of June 2019 at the Gulf Convention Centre. In strategic partnership with the Bahrain Institute of Banking & Finance (BIBF), and the Bahrain Insurance Association (BIA), the two-day conference aims to provide knowledge exchange, foster synergies among market players to find solutions, and promote innovative InsurTech practices in a collaborative, open, and transparent manner. InsurByte 2019 will host keynote speeches, panel discussions, fireside chats, hands-on workshops, networking sessions, and case studies from prominent players in the InsurTech sector, as well as insurance professionals. The conference will also highlight first-hand themes and topics, strategies, and case studies on key opportunities and challenges facing the insurance industry, such as the impact of Blockchain on the Insurance industry; Cloud Computing in Insurance; the Regulatory challenges of InsurTech; Digitalisation of Underwriting & Claim Handling; the Potential Applications of AI in providing Risk Protection, amongst other topics. Early Bird Registration is now open for the InsurByte conference. Interested participants can register on www.insurbyte.com before April 25th 2019 to benefit from reduced rates.